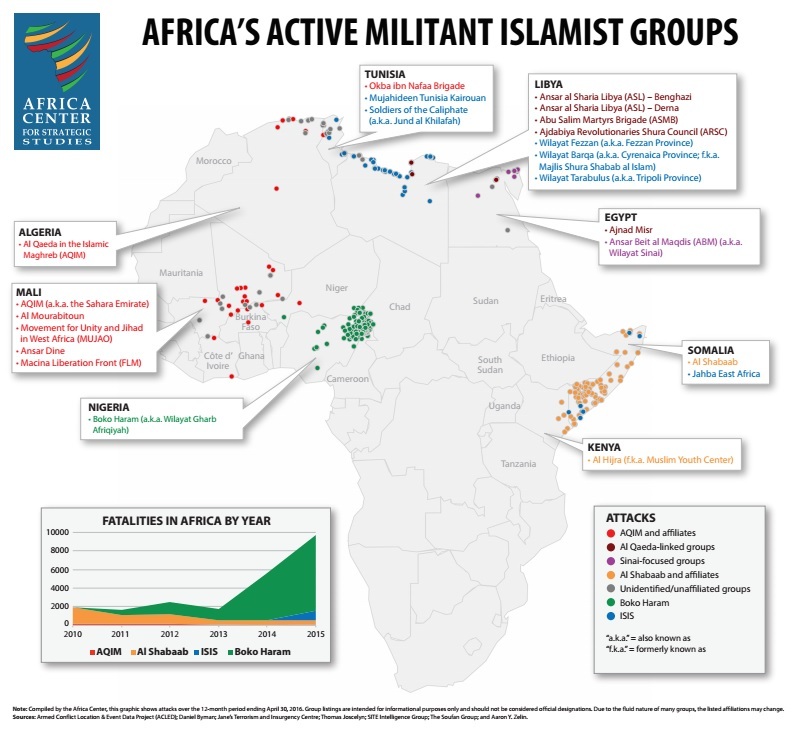 A review of militant Islamist group activity in Africa over the past year reveals considerable variation in the groups involved. Recent high-profile attacks have drawn increased attention to the threat of terrorism in Africa. A review of violent episodes linked to militant Islamist groups in Africa over the past year reveals considerable variation in the groups involved. Most are locally focused even if they have declared an allegiance to a global terrorist network. Activity has also been confined to a relatively few, concentrated areas on the continent. Events involving Boko Haram are responsible for the vast majority of fatalities, a figure that has escalated dramatically in recent years. Although it garners much attention, ISIS has a limited presence in Africa, often working through pre-existing groups with their own agenda. This map details the trends.